310 Running sent a talented pair of athletes to Brandon, Manitoba to compete at the Legion Nationals on August 10-12. 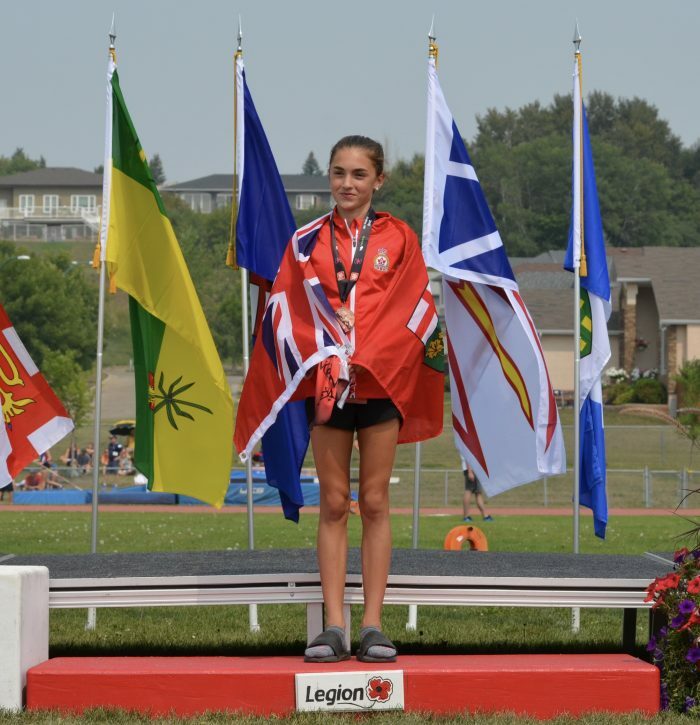 Aysia Maurice, who competed as a member of Team Ontario, had a very busy but successful weekend earning a bronze in the U16 girls 1200 & fourth place finishes in the U16 girls 2000 & 1500 steeplechase. Aysia’s times of 3:34.91 in the 1200 & 6:24.57 in the 2000 represent new U15 Ontario records. These were 2 of the 5 Provincial records set by Aysia this year. 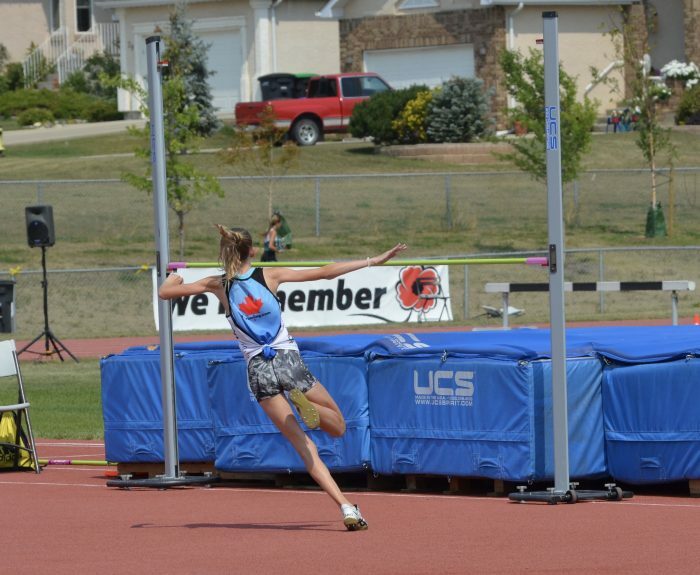 Tara Johannink competed in her first National Championship in the U16 girls high jump. Tara’s 1.50m jump equalled her personal best & was good for 13th place overall. Tara was one of 6 girls that cleared 1.50m. Now that Mother Nature has released us from her icy April grip, it is time to officially take our training outdoors. 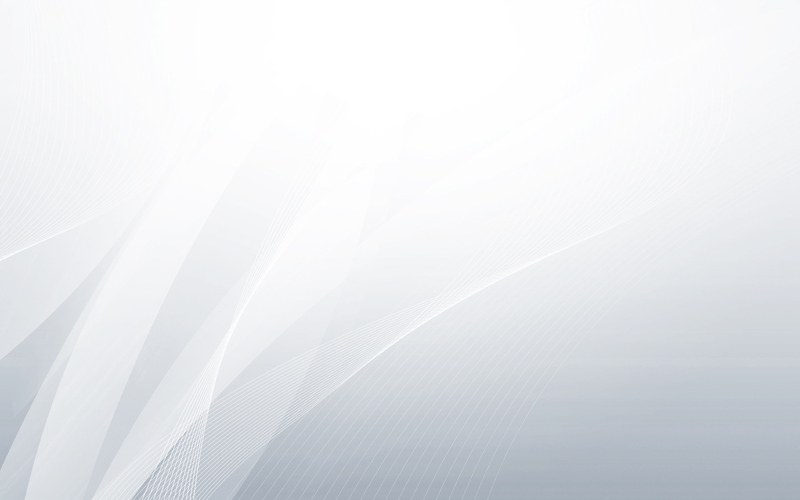 On Monday, April 23 we will start our Outdoor Competitive & Spring Recreational track programs at Humberview Secondary School in Bolton starting at 6:30 pm. 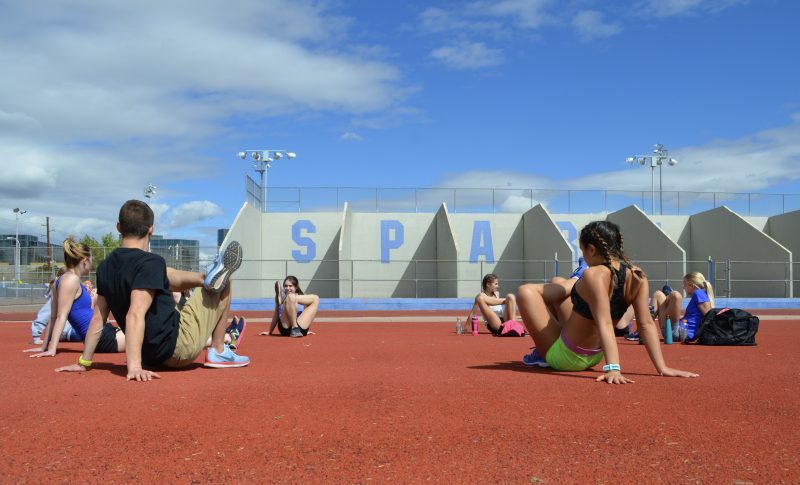 Our competitive program is designed to provide athletes with competition level training in a variety of track & field events including running (sprints & mid-distance), hurdles, steeplechase & high jump. Competitive athletes are given the opportunity to participate in local, Provincial, National & International track meets depending on their level of performance. 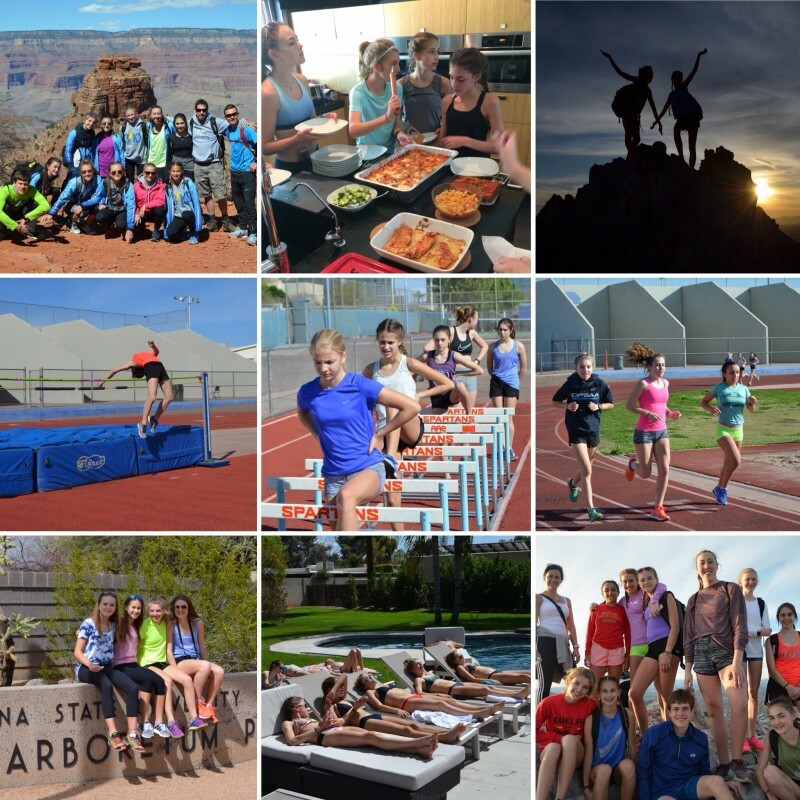 310 Running hosted its first warm weather training camp in Phoenix, Arizona during the 2018 March Break. Eleven athletes, three coaches & a chaperone took advantage of the perfect Arizona weather to start the transition from indoor to outdoor track & field. With exclusive use of a local high school track, the team was able to get in some solid mid-distance, hurdle & high jump work. The track & field training was augmented with some challenging hikes over some spectacular terrain including climbs up Camelback Mountain & Piestewa Peak & a descent into the Grand Canyon. Sharing a beautiful 4800 sq. ft. home in downtown Phoenix provided a unique opportunity for the team to bond at the track, on the trails, in the kitchen & by the pool. Special thanks to Monique Della Penna (aka Momma Monique) who went way beyond expectation taking care of the team, Coach Jamie Tarling who kept the house under control & in chaos all at the same time & Coach Nicole Skimming who taught our hurdlers that you must get over the hurdle…every time…or else. Details for the 2019 Arizona training camp will be available in August. 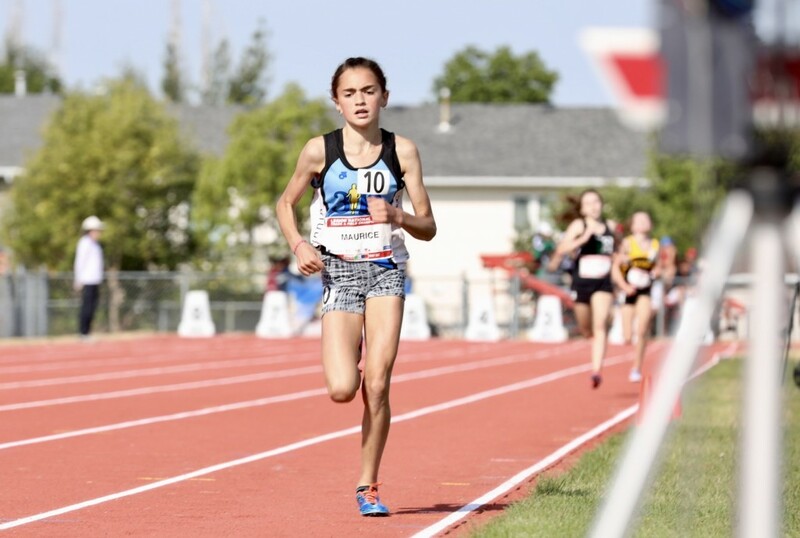 310 Running’s Aysia Maurice set some bold goals for herself in 2017 and in a year with a lot of ups and one hard down, she proved that she is one of the best 13 year old track athletes in Canada. During her 2017 indoor campaign, Maurice earned a spot on Team Ontario for the Ontario/Quebec Midget Dual Meet by winning the Midget girls 2000 at the trial meet in a U14 Indoor Provincial record time of 6:48.83. Aysia went on to be the top performing Ontario athlete in the 2000 placing second behind the winner from Quebec at the dual meet. At the Indoor Provincial Championships in March, Maurice showed her strength and versatility by taking gold in the Bantam girls 1200 and silver in 60m hurdles. In the transition between the indoor and outdoor seasons, Maurice competed in the WWF CN Tower Climb ascending the 1,776 steps in twelve minutes and 53 seconds, more than a minute faster than any other female athlete participating. The outdoor season started well with early personal bests and National standard times in the 1,200m and 1,500m steeplechase. In late June, Maurice went down hard and fractured both of her arms sustaining what, for most, would have been a season ending injury. Undaunted, Aysia was medically cleared to train within days and showed up to the track sporting two casts. By Outdoor Provincial Championships in late July, Maurice was free of her casts and ready to run fast. She earned three Provincial gold medals, two personal bests and an Ontario U15 steeplechase record in the 1200, 2000 and the 1500 steeplechase over the two day meet. In August, Aysia competed at Legion Nationals in Brandon, Manitoba. At Nats, Maurice posted three personal bests and three top ten finishes including a 5:02.27 fifth place finish in the 1500 steeplechase to set a new Ontario U15 and U16 record. Aysia ended her outdoor season ranked first in Ontario in the Bantam girls 1200, 2000 and the Midget girls 1500 steeplechase. The 13 year old finished ranked seventh in Canada in the U20 age group for the 1500 steeplechase. Maurice’s hard work and success was rewarded on September 30th when she was named the Athletics Ontario Bantam girls distance athlete of the year.